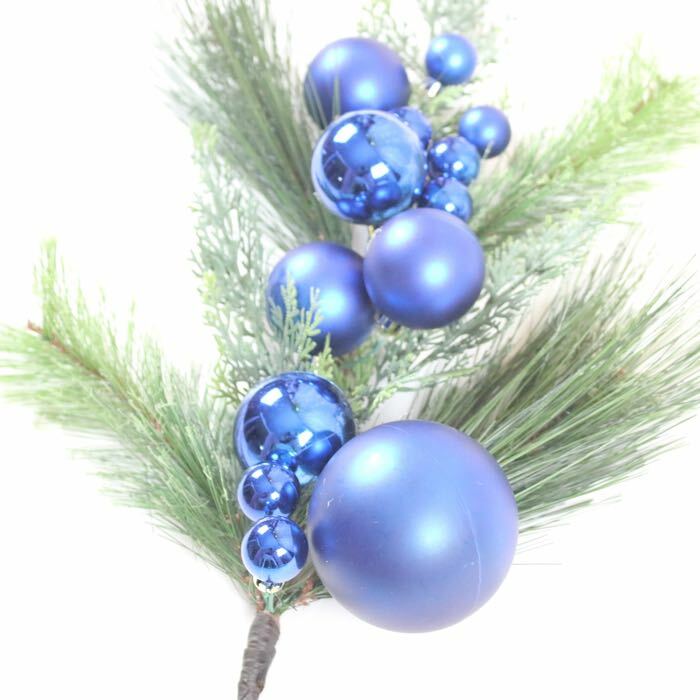 Description: Christmas greenery combined with blue ornaments. 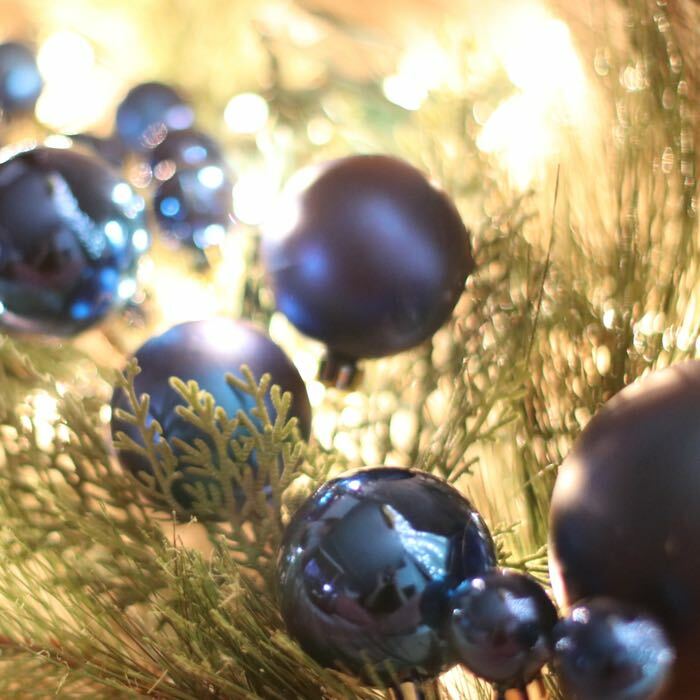 Perfect for tucking into wreaths, garlands, and commercial Christmas trees. 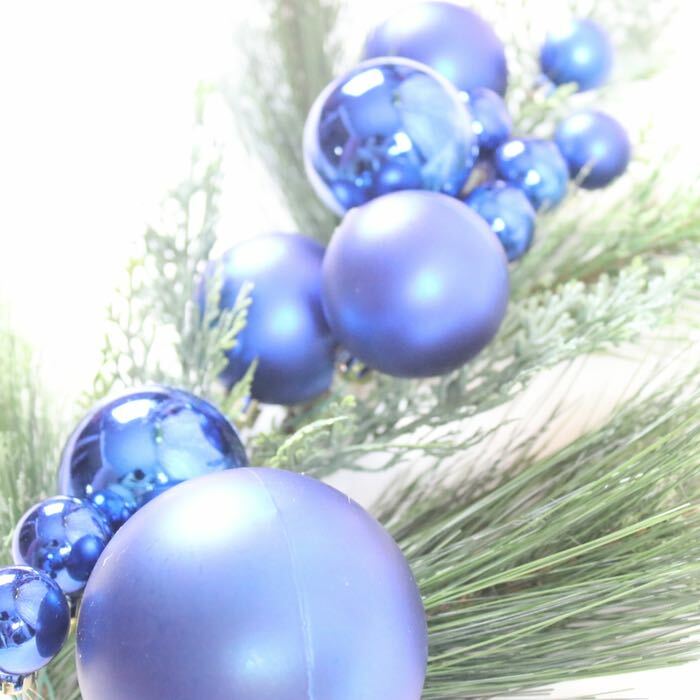 Combine with blue and white Christmas lights and blue or silver bows to complete the look.